Once personal trainers were accessible only to celebrities and wealthy gym patrons. Fortunately, times have changed and personal trainers have become affordable to many more people seeking to get in shape. But you may still wonder: Why should I invest in a personal trainer, when I can just work out on my own? In this blog, I’ve got 10 reasons that can transform your life! Poor training habits are extremely hard to change. A coach will train you with correct form from the start, preventing you from developing any unsafe movement patterns. Over time these can lead to chronic injury. Your back, knees and shoulder joints will be forever grateful! It’s easy to blow off your workout or diet when you’ve got no one to hold you accountable. If you have someone waiting for you, it is far more likely you will keep the appointment and continue making progress. Additionally, you’ll have to explain your eating binges to your trainer. This provides you with a powerful motivator to keep it clean. A personal trainer can give you the expert advice and guidance you need when recovering from an injury. Your trainer will create an exercise protocol to build strength and improve mobility. It is important to confirm that your personal trainer has the right certification to work with your type of injury. Don’t be afraid to ask for their license number and/or copy of their certification. I will share 10 Things To Consider When Hiring A Personal Trainer in a subsequent blog. When you’re on your own, it’s hard to maintain the intensity you need to make progressive improvement. Your energy level will sometimes fluctuate, which can undermine your results. Having a professional there can help you maintain consistent effort. Your trainer can keep you pumped, so that every workout will be your best. A good trainer learns what makes you tick, and uses your preferences to help you enjoy the session . We all hit plateaus. Excellent trainers will have many strategies to create the variety that forces your body to continue to make progress. As a result, you’ll avoid the frustration that discourages most exercisers. If you are a novice when it comes to fitness or wellness, it is natural to seek the advice of a professional. 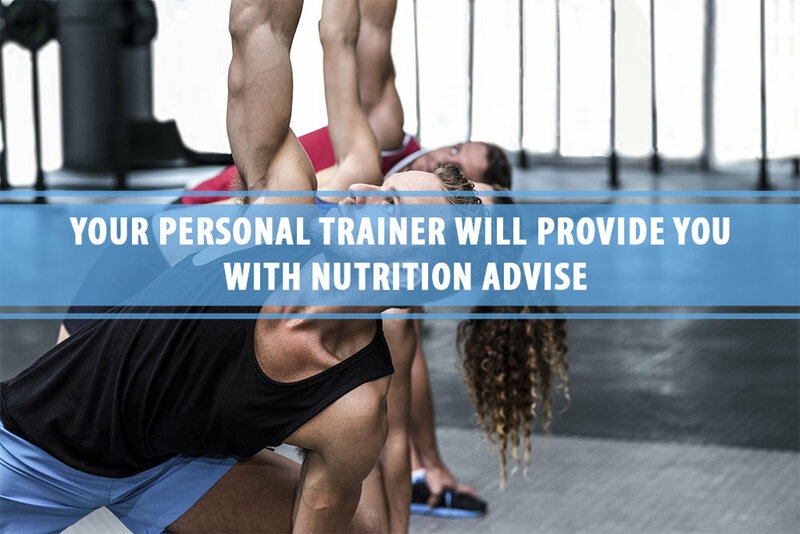 When you consult a certified personal trainer, you are taking advantage of the expertise and knowledge they have built over their career, saving you so much wasted time and effort! Properly certified personal trainers understand the fundamentals of nutrition. They can guide you towards implementing a science-based meal program. Avoiding fad diets is one of the best ways to ensure gains while also nourishing the body. Consult a licensed nutritionist or dietitian when you require a tailored meal program that specifically addresses your macronutrients and caloric needs as they pertain to your goals and any medical conditions. A personal trainer will continue to challenge you as you achieve one goal and then establish new ones. Trainers push you beyond your comfort zone. You will exceed your own expectations! Creative wellness coaches implement various modalities of training to make sure you are engaged in your program. By including activities you already enjoy, you will more readily adjust to a more active lifestyle. Maintaining enthusiasm is key! When you’re working with a personal trainer, you ensure that your time is well spent. You don't have to worry about finding equipment, learning to use it, and then creating a routine. Your coach will also minimize distractions. Every second will be geared toward helping you reach your goals as quickly as possible. All our coaches at Flex5 are highly qualified professionals who can empower you to reach your goals faster. They have the skills and the passion to guide you to your new physique while approaching your wellness from a holistic perspective. The Flex5 principles of Strength, Flexibility, Endurance, Nutrition and Spirituality are always fundamental to each client’s program. Find out what we can do for you by scheduling your complimentary consultation today. Coach Petro is a co-founder at Flex5, and is a strong advocate of holistic approaches to health and wellness. He spent over 10 years in finance, using his experience there to build a business that focuses on empowering clients to transform their lives one day at a time. He holds designations for CFA, FRM, ACSM CPT and AADP CHHC. You can read his full bio here.